If you are planning to travel or you are frequent flyer to your home country, by booking a flight ticket online through Saudi Airlines website, then hold down for a minute and register for your alfursan frequent flyer card. If you already have alfursan account, then sign into it and then proceed for booking your flight. 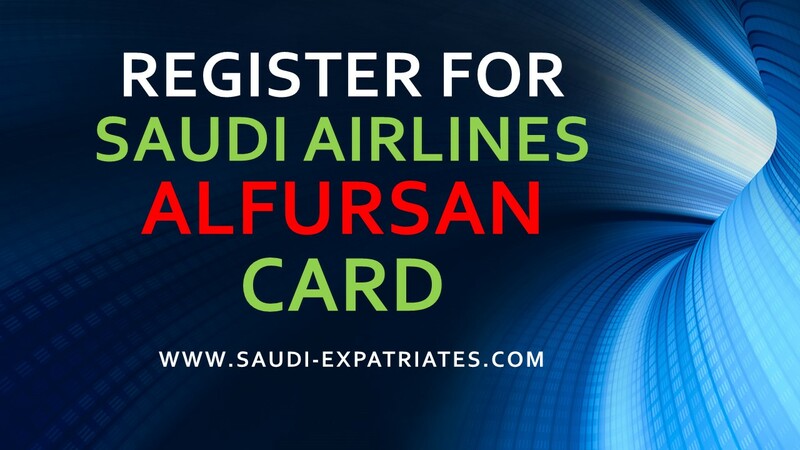 What is Alfursan frequent flyer card? Its a program from Saudi Arabian Airlines to earn Status Miles and reward Miles for those who fly frequently from Saudi Airlines or Skyteam partner airlines. Which Airlines are under Skyteam Partner? Skyteam partner consits of AEROFLOT Russian Airlines, AEROMEXICO, AIR EUROPA, AIR FRANCE, ALITALIA, CHINA AIRLINES, CHINA EASTERN, CHINA SOUTHERN, CZECH AIRLINES, DELTA AIRLINES, KENYA AIRWAYS, KOREAN AIR, KLM ROYAL DUTCH AIRLINES, MEA AIRLINES, TAROM, VIETNAM AIRLINES, AEROLINEAS ARGENTINAS, XIAMEN AIRLINES, GARUDA INDONESIA AIRLINES. What are Reward Miles and Status Miles? Earned reward miles can use for free flights or upgrading your cabin class and other special offers. Reward miles can earn faster with Alfursan Silver and gold membership by enrolling family, flying with premium cabins and through special promotions. Status Miles adds advantage for the progress of your Alfursan membership like Blue, Silver and then Gold. What is Blue, Silver and Gold Alfursan Membership? Blue : Its from where you start, Once you signup online you are under Alfursan Blue membership. You can use membership number while booking a ticket. Once you complete your first fly you will receive your membership card, till that you can use membership number. Silver : You will get silver membership once you travel 25000 miles or 20 international sectors in one year. Its upgrade for Alfursan Blue Membership. Gold : For Gold Elite plus membership you need to earn 50000 status miles or 40 international sectors in one year. Its upgrade for Alfursan Silver membership.